Edgy highlights hairstyles may become a good option to fresh your appearance. Well, it doesn’t matter if you are too mature when you are wearing this hairstyle. It is because the edgy highlight idea is suitable for everybody since he or she is confident with that. Well, the edgy highlight is not the same with usual highlight. Generally, trendy hair with highlight usually only involves a single tone to emphasize the hair texture. And commonly the highlight tone is some lighter tone levels from the natural hair color. Now, there is the edgy highlight style to adore. The edgy highlights hairstyles idea basically involves more than two hair dyes to mix and match at the same time. Are you so curious about it? 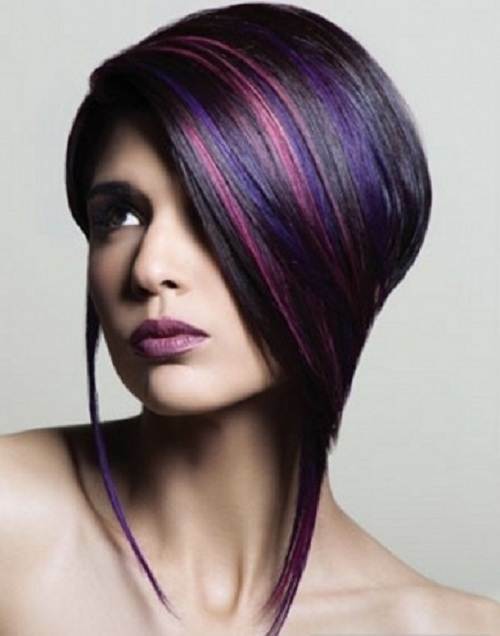 We have uploaded four photos of hairstyle with edgy highlight at this post. The first photo displays an incredible haircut with orange tone applied on it. This hairstyle offers very short cut. This haircut is actually suitable for tomboy women. 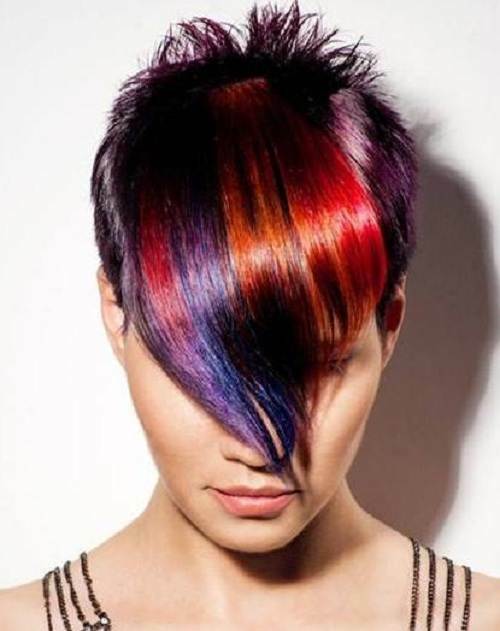 The unique detail found on this edgy colored hairstyle is stylish Mohawk art on the top. In such a way, the long bang is twisted and sprayed as well as the hair on both right and left sides. 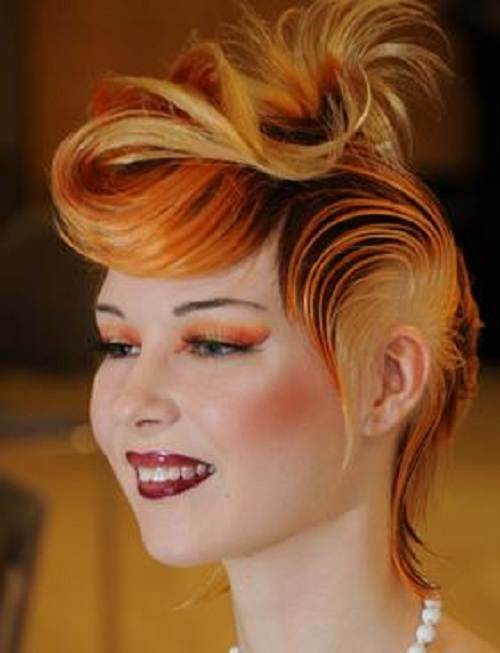 With little orange and brown tones, this funky haircut looks adorable to match your casual fashion style. Well, if you have longer hair length, you don’t have to cut it in different shape. Just apply the edgy highlight in pink, red, purple, yellow and blue. Block your natural hair in pink as the base hair dye. 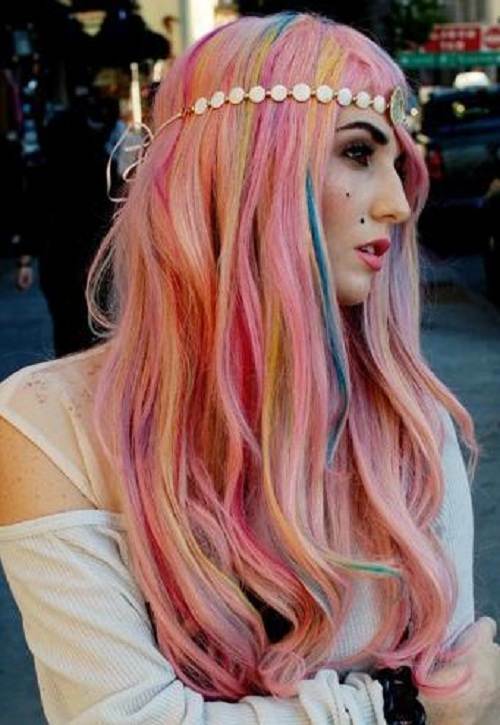 And then start to spread other bright colors randomly slightly among the pink colored hair. The edgy highlights hairstyles idea is also able to apply on your bang only. If you are wearing pixie haircut with long bang, why don’t you apply the edgy highlight on the bang. Mix and match purple and red tone and then apply both hair dyes in order such as red, purple and then red again. To make your black hair cooler, we can block your hair in light or deep purple before applying the red and purple tones on the bang. As the result, your cool pixie hairstyle will definitely look more perfect than before.